Good powerful battery. Very Easy to order. Excellent next day delivery. Great all round service. Thanks. 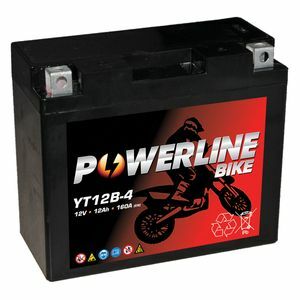 Great battery; I've had one of these before. The screws supplied to fit the terminals were too short ... they wouldn't reach far enough down to engage with the nut inside the battery terminals, but not a major issue. Arrived within a few days. Charged and ready to go. Bike started first time. Does the job fitted straight on no problems. Only had a week or two so don't know about any lasting value, but I needed a quick fix without spending any more money than necessary so Job done???? Arrived very quickly. Straight swap for old battery and job done. Excellent service. The battery was fully charged and very well packaged . Great thanks . Excellent service, well packaged battery arrived next day.